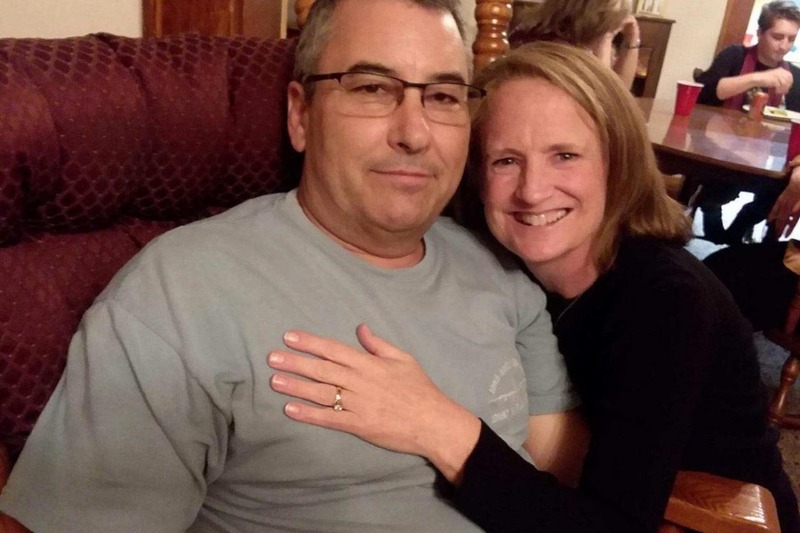 Ed Parsons, our long-time friend and brother, was diagnosed with a blood cancer in March 2018 called Multiple Myeloma, which affects the strength of his bones. This cancer destroys bone marrow, eating the bones from the inside out, making them weak and painful. Ed has begun his treatments and is tolerating them well. However, he is scheduled for a stem cell transplant this summer which will be a brutal and expensive process. Of course, his wife LIz of 27 years and their young sons Taylor and Zach, will be suffering alongside him during this ordeal Ed served in the military, is an Idaho Vandal and a Kappa Sigma brother. He and his family have been long time members of Eastwind Community Church, participating in countless projects to improve the lives of others. 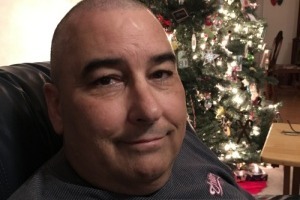 Now, Ed is in the fight of his life and needs our help. Your support, prayers, and donations will help Ed and his family during this difficult situation. We have full faith that Ed’s strength of character and determination will carry him through this fight. Please join us in helping the Parsons’ family fight the financial battle that cancer also brings. In my experience, Ed Parsons has never failed to assist a friend, brother, or stranger in need. Thank you for your consideration in donating to his fight. Yesterday was Day 100. WAHOO!!! Ed marked this milestone day on the golf course with Zach. What a great way to celebrate! Ed continues to do really well. He caught a cold about a month ago and his white blood cell count took a pretty significant drop, but he was good about listening to his body and getting the rest that he needed to recover. His neutrophils looked good at his appointment on Friday, and his doctors are pleased. He has been taken off all medication with the exception of his chemotherapy maintenance drug and an anti-viral. (He'll be on the anti-viral for a year and the chemo pill daily for at least two years.) He will also receive a bone strengthener infusion every 3 months for the next year. The first time he was given this, he had quite a strong reaction. Thankfully, though, the last 2 times have been much easier on him. It generally makes him sore for a few days, but nothing compared to the bone pain he endured when he was first diagnosed. Immunizations will begin in June. Thank you for continuing to keep Ed in your prayers. He's been ridiculously strong through this whole process, and I am so thankful for his recovery. Day 27 - He's Outta There! Ed's blood work looked great, he had the PICC line removed from his arm, and he was officially released from the transplant team's care! He feels good . . . he looks good . . . life is good! Ed has continued to feel a little better each day! He still has daily appointments at St. Luke's / MSTI, so we are becoming VERY familiar with the doctors, nurses, and staff at these hospitals. I cannot say enough kind things about them. They have been wonderful! Ed has blood work done daily, and he is progressing according to schedule. "500" is the white blood cell count we have been looking for, as once he reaches this number 3 days in a row his cells are considered engrafted. (Engraftment is when the blood-forming cells he received during his transplant start to grow and make healthy blood cells.) It is an important milestone in his transplant recovery. Yesterday Ed's white blood cell count was 900, and today it was just over 800. We are hopeful that if it is over 500 again tomorrow, he will be moved to every other day appointments. He has been cleared to have visitors (as long as they don't have a cold, cough, etc.) so that's a big milestone as well. They told us at the 2 week mark he would start to lose his hair, and they were right. By Christmas evening it was driving him crazy, so Taylor and I gave him a Christmas shave. He's still so handsome! Day 12 - Merry Christmas! On Day 10, Ed had a 4 hour hospital visit and required two bags of IV fluids to help with his extreme lack of energy, dizziness, and nausea. They had trouble drawing blood from his port, so they had to spend some time working on that as well. We were told at the beginning that Day 10 was probably when he would feel his worst. That seemed to be true. He was a little better on Day 11, though they were still having trouble drawing blood from his port. They thought perhaps there was a blood clot somewhere along the line, so it was another lengthy hospital visit while they put enzymes through the port to break up any clots that may have formed. Christmas morning (Day 12) started off with a 7:00 A.M. visit to the hospital for blood work. His numbers have started to come up a little, and with that, he is beginning to feel a little better! What better Christmas present could we ask for? !